I like the bikes. Like the man even better after I asked Jon a few questions about him and Sabrosa Bikes. I am a civil engineer by day and a frame builder by night. I grew up tinkering with bicycles and working in bike shops. I enjoy fabricating, welding, and problem solving. I am an art appreciator. I strive to make things that are beautiful, and functional. 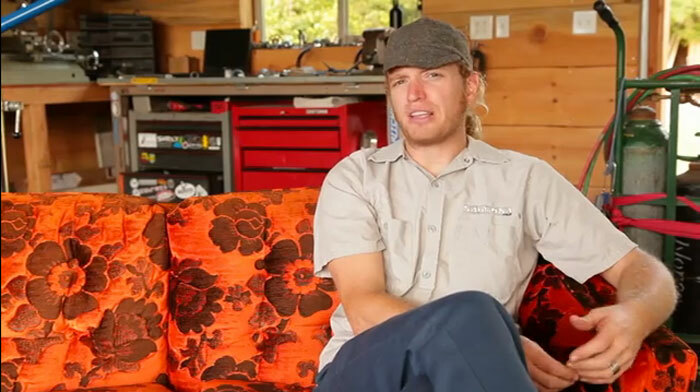 How did you come to design and build bikes? What was the spark? 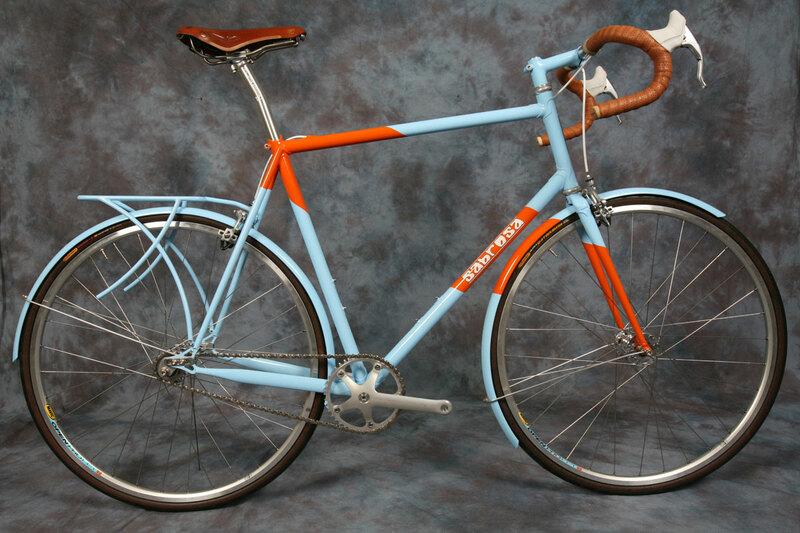 The owner of the first bike shop were I was employed instilled in my young, tender brain the value of handcrafted bicycles. Our shop was filled with Serrottas and Salsas that were all made by hand. They were gorgeous. I purchased my first custom steel frame while working there, a Salsa Ala Carte, and I still have it. 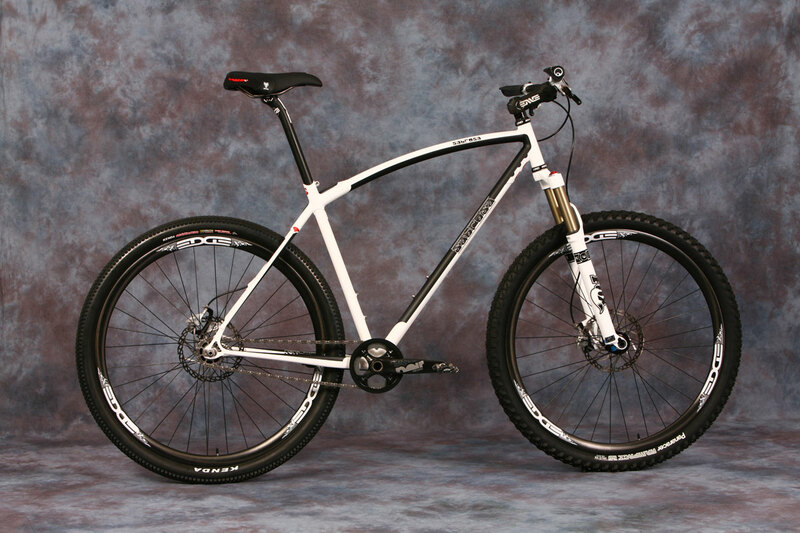 The 29’er craze was just ramping up in 2000 when I placed an order in with a predominant builder. He got a little flaky on me, and so I ended up spending the money that I had saved for a custom frame on an oxy/acetylene torch and some tooling. I taught myself how to braze and made all sorts of jigs and fixtures to help me build frames. A lot of good friends supported me through the learning phase and helped to get me to where I am now. 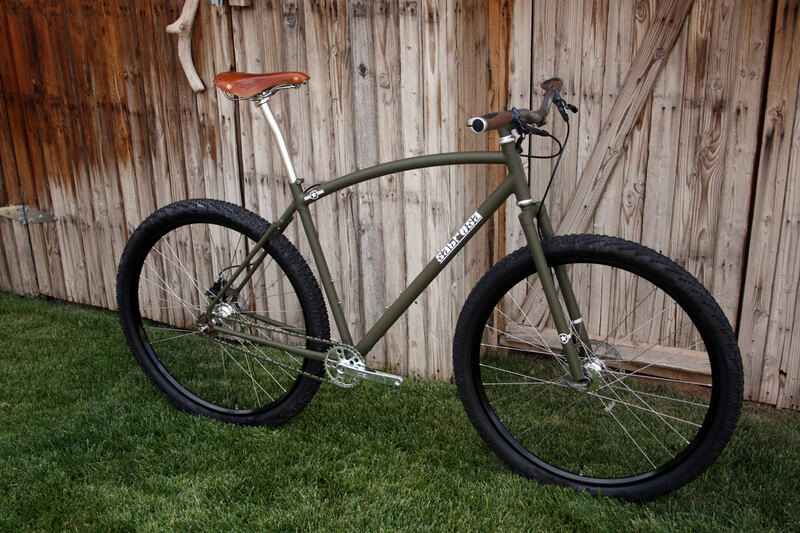 Typically, how long does it take you to build a bike, and how do you know when the bike is done? 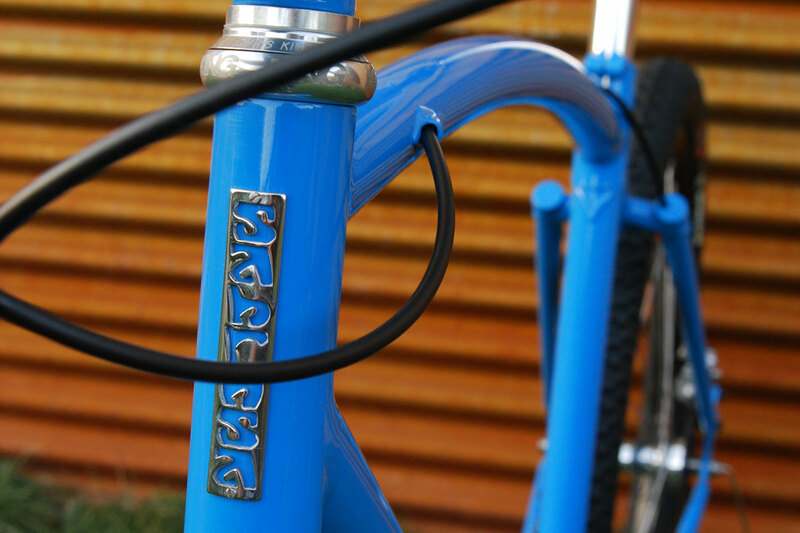 Every frame takes a little more, or a little less time to build depending on the how ornate, or how many fancy bits are incorporated (racks/fenders/custom playing card holders for that hot for the moto sound/etc). I typically spend 40+ hours per frame, which easily spills over into the 80+ hour mark by the time I add a fork, and stem. The frame doesn’t feel done to me until paint is complete, all of the bearing surfaces are prepped, threads are chased and a headbadge is installed. Clean and simple lines influence me. 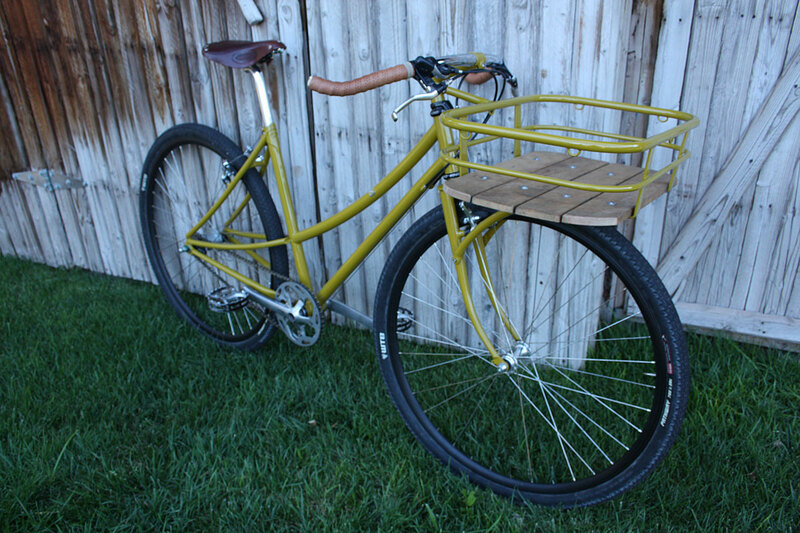 Bicycles are simple machines, and I like to try to keep them that way. 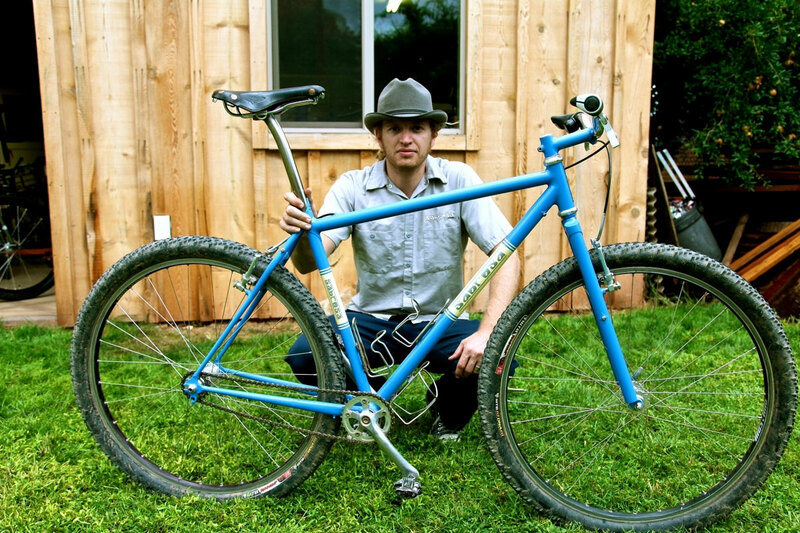 If you could build a bike for anyone, who would it be? And what would it look like in your head? I have been trying to build myself a new frame for 2 years now and I can’t seem to sneak myself into the mix. Really, if I could build a frame for anyone, it would probably be for my dad. He deserves a nice pony. This is the guy that would load me up and take me to Moab for weekenders as a kid. He always seems to get stuck with my old hand-me-downs. In my mind the bike would be geared with a suspension fork and nothing but high end, no frills components – stuff that would get the job done for years and years, and then return to me when my dad is 90 and isn’t interested in the bike anymore. It would be burnt, metallic orange. What influences you and why? Clean and simple lines influence me. Bicycles are simple machines, and I like to try to keep them that way. I like to surround myself with all sort of different avenues for inspiration. Lately, I have been really interested in Café Racer style motos and street graffiti. I really enjoy hanging around other folks who make things with their hands and I try to absorb some of their creativity. It never works, but at least I try. In the video, I noticed you had a stereo in the shop. What bands/type of music do you like to listen to when you’re working? A good friend of mine passed that beauty on to me and if I am working in the shop, so is the stereo. My music tastes vary clear across the spectrum. I can easily swing from Hank Williams to the Beastie Boys in a single evening. You sir have the coolest orange couch I’ve ever seen. Where did you get that bad-boy? The orange couch circled the universe and landed in my shop. Seriously. The misses and I had just returned home from a ride and we noticed it in the back of a passing pick-up truck. The driver must’ve noticed us gawking and flipped a u-turn. He told us that the couch was on the way to the local second hand, and we would be saving him a trip if we wanted it. Done. That couch is amazing. You are welcome to stop by and try it out any time you are in the area.